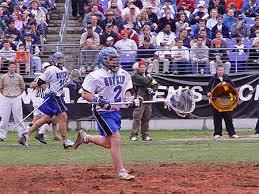 Rob is a Baltimore native who began his lacrosse career in 1986, playing defense for Reisterstown Rec Lacrosse. It wasn’t until middle school when he made the on-field switch to goalie. Although a talented defender, Rob took great advice from his father, stepped in the goal, and has never looked back. With over 20 years experience as a goalie and goalie coach, Rob believes that coaching, consistent training, and building on fundamentals are crucial in the development of good goalies. He does not believe in a one size fits all approach and has experience coaching players at all levels of development – from those new to the sport and the position, to those that are well seasoned. Rob is the current goalie coach and assistance defensive coach for the McDonogh School boys’ varsity lacrosse program, and goalie coach for the Coppermine girls’ lacrosse program. 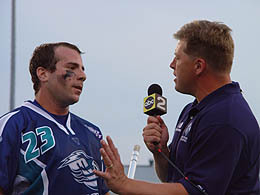 Rob is a formal MLL All-Star, All-Pro and MLL Champion (Baltimore Bayhawks, New Jersey Pride), former All-American, team Captain, and top defensive player for the John’s Hopkins’ Men’s Lacrosse Team, and former team Captain and MIAA Champion at McDonogh School. He was inducted into McDonogh’s Athletic Hall of Fame in 2011 and is currently 6th in the Hopkins record books in all-time save percentage. 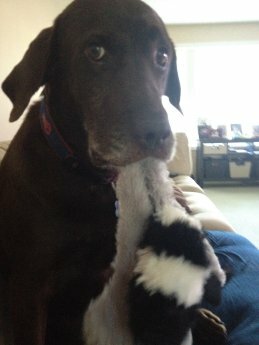 Rob lives in Pikesville, Maryland with his wife Michelle and their chocolate lab, Teddy. Rob is a passionate, dedicated and top notch goalie coach. I have been so very impressed with the confidence that my son has gained from working with Rob over the past few years. My daughter has received excellent goalie training at Big Stop Goalie School with Coach Rob. His training methods are highly and effective and fun. Coach Rob drives his students to perform at their optimal level while motivating through positive reinforcement. Coach Scherr is an amazing mentor and coach who furthers my ability every time I work with him. When I leave a session, I feel like I can achieve anything! My daughter has increased her confidence and desire to be the best she can be since working with Rob. We are blessed to have had the opportunity to work with Rob and will continue to do so in the future.